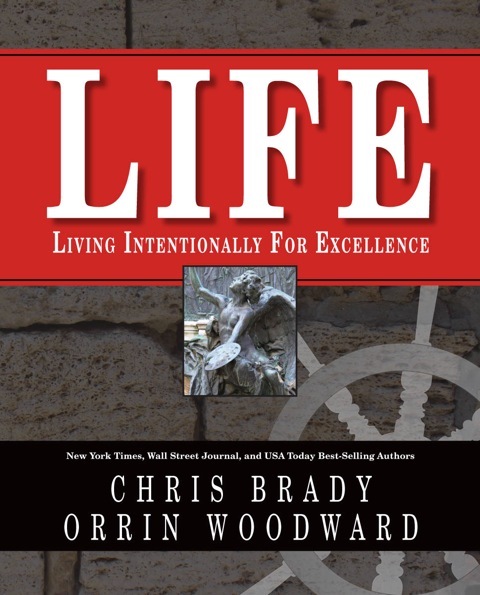 Winner of the 2011 Independent Association of Business Top Leader Award; Orrin Woodward shares his leadership secrets. 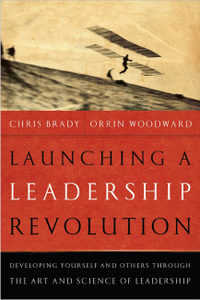 This is the blog where leaders come to learn with NY Times, Wall St. Journal, USA Today, Money & Business Weekly best selling co-author of Launching a Leadership Revolution & 2011 IAB Top Leadership Award winner - Orrin Woodward. 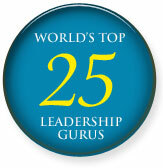 This blog is an Alltop selection and ranked in HR's Top 100 Blogs for Management & Leadership. George Washington, Ben Franklin, and Jonathan Edwards were all eighteenth-century colonial Americans who made a difference in the world. What did they have in common? Each developed resolutions to live their lives by. Today, the Mental Fitness Challenge (MFC) captures the wisdom of the ages into a 90-day program for long-term success. What is the life you have always wanted to live? Many know what they want but are unsure how to get there. The MFC is a road map to help you get there through my new book RESOLVED: 13 Resolutions for LIFE. Here is a short video describing the process in the lives of these three great colonial Americans. Tom Chenault, my good friend and a top leader in community building across the globe, recently asked me to join him on his radio show The Tom Chenault Show. I enjoyed the interview immensely as Tom has a unique way of coaxing out the good stuff and summarizing the material into bite-sized morsels for mental consumption. My personal highlight of the interview, however, wasn’t anything I said, but what Tom and Denice (Tom’s lovely bride) shared about his recovery from alcohol abuse, being sober now for over 23 years. Tom’s forthright conversation on his alcohol addiction and his resolve to join AA many years ago was inspiring. This victory is impressive enough, but there’s more. At the beginning of this year, he added further resolutions to his plate – working out, attending daily AA meetings, etc. – and has followed through faithfully. This is what makes the Chenaults champions. I loved hearing Denice explain how the resolutions have helped Tom grow and change. You can hear the authenticity of the admiration coming from her voice in the interview. Tom and Denice Chenault exemplify the power of resolutions to change a person’s life. The whole point of my writing RESOLVED: 13 Resolutions for LIFE and launching the Mental Fitness Challenge was to have millions of stories like that of Tom and Denice, who went through the struggles, resolved to change, and through God’s grace, achieved victory! To God alone be the glory! Here is the link to the interview (about 25 minutes into first hour) if you would like to give it a listen for yourself. Have a great day and resolve to live the life you’ve always wanted today! It’s been three full days since the Mental Fitness Challenge rollout in Columbus, and the MFC already has 1,254 new customers. That’s over 400 customers a day joining the Mental Fitness Challenge, and it’s only three days old! Chris Brady and I set a goal to create a program available to all, affordable to all, and achievable by all. The MFC has accomplished all three. First, a person takes the MFC Self-Assessment Test to determine which of the thirteen resolutions for success represents an area where he needs help. 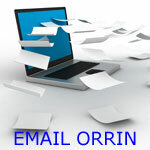 Second, he can email his friends and request that they take the MFC Self-Assessment Test about him, providing 360-degree feedback to ensure he is not self-deceiving himself on his score. The friends’ grading results are compiled together, ensuring complete honesty from one’s friends on the test, before being sent back to the MFC participant. Many firms pay tens of thousands of dollars to gather 360-degree feedback, but with the MFC, it’s just part of the program. Third, the MFC participant dives into the CDs and the RESOLVED: 13 Resolutions for LIFE book, reading the first chapter on Purpose and beginning his journey of change. Every week, videos by Chris Brady and myself will be emailed ensuring the student is picking up the key nuggets in each chapter. The MFC member will also have a grading sheet to assess how his implementation plan is going on the specific weekly resolution, similar to how Ben Franklin checked and adjusted as he applied his “13 Virtues” in his life. On top of all of this, if any friends of the MFC participant choose to take the MFC, then he also has his friends as accountability partners, and they can help each other follow through on the commitments made to change. Even more crazy, if three of his friends choose to take the Challenge with him, then his MFC is FREE! Fourth, if one desires additional support, then he can join a local Challenge Group and attend Challenge Trainings available in his area at affordable prices. The Mental Fitness Challenge is 90 days of attacking the status quo in a person’s life, asking him or her to view life from a different perspective. Like Albert Einstein once said, “The significant problems we face in life cannot be solved at the same level of thinking that created them.” The 90-day MFC teaches a new level of thinking, resolving the problems that hold a person back from the life he always wanted. After 90 days of reading, listening, and associating with other like-minded people, nobody will want to go back to his old reality. Now I am back where I started – congregation and community. The MFC is built around the two pillars for real change (congregation and community), and thus, it works. Congregation teaches the group the right principles, and community ensures the group associates with the right people. The MFC is the only personal development program that provides ongoing support in both of these non-negotiable areas. The MFC program is a 90-day plan; however, any satisfied customer can join a monthly subscription of 4 CDs and a book for the unheard of price of $50 per month. Furthermore, the MFC participant can join a local chapter of our Challenge Groups and enjoy fellowship and trainings at $10 or less per event. The Greeks were a small band of city-states bound by racial ties, but without a coercive federal union. The Five Laws of Decline (FLD) were held in check by the divided sovereignties of the Greek city-states; however, this changed with the unifying effect of the war against Persia. Initially, Sparta and the Peloponnesian League led the Greek alliance, but after the Persian’s retreat from mainland Greece and the Greek’s counterattack and victory march into the Ionian (Greek) colonies of Asia Minor, the Persian War was effectively over. The Spartans, to their credit, wanted to terminate the alliance and enjoy some peace and tranquility. Sadly, however, once the Greeks realized the capabilities inherent in united action, the divided sovereignty stage of Greek life ended, and the empire, along with the FLD, began. With the Spartans backing out of leadership, the Athenians, led by their commander Xanthippus, vowed that if no one else would protect the Ionians of Asia Minor, then the Athenians would, especially since Asia Minor, for the most part, originally consisted of colonies from Athens. Basically, there were three main objectives of the Delian League: defend against further invasions by Persia, avenge Persia’s invasion, and divide the spoils of war gained by the allies. Each ally was given a choice to either offer armed services or pay a tax into the league treasury. Given the strength of the Athenian forces and the fear of the Persians, most of the states chose to pay the tax in lieu of providing men and ships. The FLD grew rapidly under this fertile field for plunder. As the Athenians realized the ability to reap profit without efforts, the taxes quickly increased, the alliance of friendly states turned into Athenian hegemony over its weaker brethren, and the Athenians ventured out with a funded, aggressive, and victorious military seeking further plunder. Of all the causes of defection, that connected with arrears of tribute and vessels, and with failure of service, was the chief; for the Athenians were very severe and exacting, and made themselves offensive by applying the screw of necessity to men who were not used to and in fact not disposed for any continuous labor. In some other respects the Athenians were not the old popular rulers they had been at first; and if they had more than their fair share of service, it was correspondingly easy for them to reduce any that tried to leave the confederacy. The Athenians also arranged for the other members of the league to pay its share of the expense in money instead of in ships and men, and for this the subject city-states had themselves to blame, their wish to get out of giving service making most leave their homes. Thus while Athens was increasing her navy with the funds they contributed, a revolt always found itself without enough resources or experienced leaders for war. By analyzing the behavior of Athens, one quickly identifies the FLD (discussed in my book RESOLVED: 13 Resolutions for LIFE in the Legacy chapter) at work helping to destroy Greek liberty. First, because of Sturgeon’s Law, it was only a matter of time before the absolute power derived from the Athenian’s dictatorial position drew proto-Machiavellian operators into the leadership positions. The Delian League’s political structure would have required angels, not men, in order to limit the possibilities of aggrandizement inherent in the Delian League’s design. Second, Bastiat’s Law bloomed when the Athenians realized that, since they were receiving the taxes (tributes) and providing the protection, they also could dictate the terms of the “alliance” because he who has the gold makes the rules. Naxos, was the first island to realize its error and challenge the Athenian political control by attempting to withdraw from the league. The Athenians (the former lovers of liberty) viciously attacked and defeated Naxos, forcing the inhabitants to tear down their wall, surrender their fleet, and lose their vote in the Delian League. Naxos, in other words, was no longer an ally in the Delian League, but rather a prisoner of the Athenian Empire. Other states quickly read the tea leaves, and Athens resorted to threats and attacks to subjugate any allies brave enough to question Athenian hegemony. Third, Gresham’s Law reared its ugly head by driving any noble politicians of liberty underground. Consequently, the only politicians remaining played power politics games to run the coercive league for personal and professional gain. By 461, the conservative Greek Cimon was ostracized, leading to further influence from the democratic elements led by Ephialtes and Pericles. This signaled the end of the official alliance with Sparta and the beginning of preparations for war between the two rival factions of Greeks – Peloponnesian and Athenian. Easy gain and plunder drove out the character-based conservative leaders and replaced them with plunder-hungry Machiavellian war leaders who catered to the democratic masses. Fourth, as the Delian League digressed from an alliance into an empire, the Athenians invested time into two plunderous activities: further empire building and continued repression of any “allies” who objected to the Athenian dictates. The Athenian League grew in size and repression. Therefore, the Law of Diminishing Returns (LDR) hindered its effectiveness. In addition, the fear of the Athenian League drew a multitude of rivals to unite under the equally strong Peloponnesian League. Guess what happens when the unstoppable force meets the immovable object? LDR drained the resources of the Athenian and Peloponnesian Leagues while they fought one another for decades in a dispute over greed, plunder, and power – all initiated thanks to the corrosive effects of FLD. The subsequent Peloponnesian war weakened both leagues, leaving all of the Greeks prostrate before Macedonia and Alexander the Great. Liberty was snuffed out by innate desire for plunder caused by allowing the FLD to work unchecked. The Greek people would remain subjugated to the Greek, Roman, and eventually the Turkish Empire – their ignoble reward for ignoring the Five Laws of Decline. Coming Apart or Community Together? 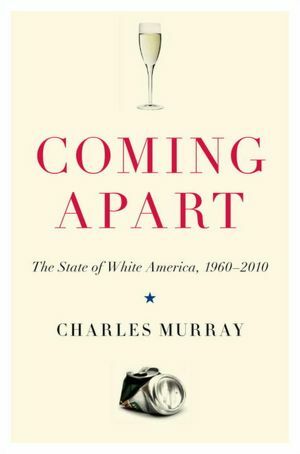 In the course of answering emails, I noticed that my friend Greg Johnson had sent me a link to a blog discussing Charles Murray’s new book Coming Apart. After reading the blog article several times, I realized I had to go buy the book immediately. I’m thankful I did! I take another view: The founders were right. The success of America depended on virtue in the people when the country began and it still does in the twenty-first century. America will remain exceptional only to the extent that its people embody the same qualities that made it work for the first two centuries of its existence. The founding virtues are central to that that kind of citizenry. I wrote RESOLVED: 13 Resolutions for LIFE to bring back character-based ethics into society and the marketplace. In truth, Murray’s and my philosophies align closely, not a shocker since Murray gathered his views from studying numerous sociological studies, while I gathered mine from over 15 years in the living rooms of America. Both methods resulted in the same conclusions: that people with satisfying work, a happy marriage, a high social trust community, and a strong religious foundation are more likely to be happy than people without these four attributes. Of the four, in fact, a happy marriage is the factor that generates the biggest improvement in someone’s happiness score. I can speak on marriage and happiness both personally, experiencing first-hand the increase in happiness when Laurie and I improved our own marriage, and professionally, witnessing many couples improve their marriages and, subsequently, their happiness levels. Coming Apart reveals that only 10% of respondents who are unmarried, unhappy in jobs, profess no religion, and have low social trust describe themselves as genuinely happy. When a good job is added, the number of respondents stating they were happy increased to 20%. A happy marriage, however, raised the total to 60% declaring they were happy. The final two attributes – high social trust communities and strong religious faith – increased the respondents’ scores an additional 10% each. Thus, from a baseline of 10% of respondents being happy, over 80% of the people who had all four attributes stated they were sincerely happy. In other words, when someone adds these four attributes, his possibilities for a happy life increase by eight times! This is a significant increase and enough to make even the most skeptical of people pause and ponder. Is there a reciprocal community (high social trust), where people can thrive in compensated communities (high rewards and recognition), learning proper principles for faithful marriages (marriage pack) and the development of a Biblical faith (All Grace Outreach)? There has been since November 1, 2011. Indeed, the reason the LIFE business has grown over 50% in four months is simple: it meets the needs of its community members. No matter how many fearful competitors attack our game-changing strategy, we grow because we satisfy our customers’ innate desire to be happy. People join and stay in LIFE because we focus on the big four (and other) attributes described in countless books on community, like Charles Murray’s Coming Apart. Simply put, we help people grow personally and professionally which leads to increased joy and happiness. I am not just a founder, but I am also a satisfied customer of the growth process materials. One of the greatest secrets to be learned about life is that happiness cannot be approached directly; rather, it is captured when it’s not being sought. Happiness, in other words, is a by-product of a series of internal victories, which are eventually revealed in the external world. Perhaps you are looking for a community of learners, encouragers, and leaders? Maybe you are resolved to change? As people gather together within the LIFE communities, the world can and will be changed. One million people, here we come! Imagine if it was possible to play back your last twenty-four hours of self-talk on this blog. How many would be horrified in the contemplation? Unfortunately, I have found that most people are more concerned with revealing their rampant negativity than the truth of the pessimistic spirit nurtured within them. The Bible clearly teaches that people will battle against the fiery darts of the evil one; however, that doesn’t mean they have to start a bonfire of cynicism. Personally, when a negative thought passes through my brain, I immediately respond by replacing it with an empowering perspective on the situation. This isn’t always easy. In fact, sometimes the answer is to surrender to God’s will, letting God be God and (paraphrasing Martin Luther) the ruined sinner be a ruined sinner. When potential leaders allow improper thoughts to become book-length mental maladies, they arrest their own personal development. Simply put, winners cannot afford pity parties. Nor do they allow themselves the luxury of self-appointed victimhood status. 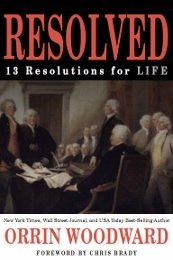 I cover this in-depth in Chapter Three of RESOLVED: 13 Resolutions for LIFE. Success is in mind before it’s in matter. Have you experienced this crucial victory yet? I love this little girl’s self-talk. Simply put, if she continues with this thinking, she is on her way to success!